I, like quite a number of people invested in scientific skepticism and its offshoots, once teetered on the edge of a rail, leaning towards one side, one side that appeared to be the most comfortable to fall towards. Its promises were vast and enthralling, its world was infinite in charm but logically inconsistent; but my knowledge of people was not sufficient to counter one of my strongest arguments for the side I appeared to be falling towards: why would so many people be lying? Without considering that the brain insists on tricking itself, that the people may have been convinced of a truth that was but illusion, my naivety almost cost me my passion for science, and, ironically enough, searching the itunes podcast directory for ‘pseudoscience’ eventually gave me the answers I had been lacking. 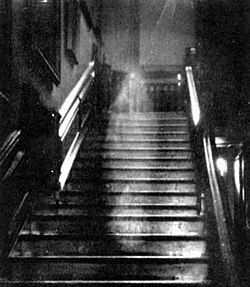 For much of my life, I was intrigued by both science and the supernatural, and although my parents would insist that ghosts weren’t real, and various other reassurances, I saw no contradictory evidence. Television taught me that all manners of paranormal events were occurring all around us, anecdotes were put forward, eyewitness testimonies, strange photographs and video recordings were presented before my young eyes, eyes hungry for information, eager to learn. Not once was I presented with reasons why these evidences may have been flawed, not once was I informed of the many ways in which humans trick themselves and each other, and not once had the media that had force-fed me the delusions of others suggested to me an alternative explanation, a different flavour of answer, the kind that made more sense and the kind that, when I finally discovered, clearly made the most sense. I suppose the status of my woo zoo is described quite aptly there, but there were some things that took me a lot longer to give up than others; and when we turn our head to my Catholic background, the waters that make up the backdrop of my childhood were saturated with doubts, doubts that were suppressed mainly for the hope that the prospect of an afterlife offered. Because if there was anything that both forced me to cling to my religion and let the doubts run wild in my head, it was the knowledge that one day I was going to have to die. Alright, to try and keep the mood up here I’m going to be replacing all references to death with [winter is coming]. For Winterfell! I had a certain problem that only recently stopped, and it’s no coincidence that this problem pretty much ceased with the final step of embracing my doubts – accepting that in my heart of hearts, I did not think there was a God watching over me. I had short bursts of panic thinking about [winter is coming], a panic that almost always triggered a conversion, and often times led me to cry out in fear, something that thankfully, I usually managed to keep to a minimum in public, although there were a couple of occasions on the bus that were really embarrassing. From this I knew two things about myself that I tried to ignore for the sake of preserving my [probably false] hope. The first was that I didn’t truly believe in an afterlife. I was afraid, so afraid that when I struggled to understand the apparent unfairness of my future I had a strong physical reaction to it. The second was that I was not the only one with doubts. My mother confessed being scared about the prospect to me, and, both being Catholic, that meant a lot. However, I was always intrigued that my agnostic father didn’t seem to be too frightened about the prospect, or at least, not to the same degree. In parallel with never being taught the counter-arguments for the endless flurry of paranormal beliefs society threw at me however, I did not truly know the concept of faith. I knew it as a word, I heard; ‘let us proclaim the mystery of faith’ in mass once a week, but I was never really aware of its meaning or its connection to unreason. Perhaps my obsession with the fact that [winter is coming] was connected to my early fascination with the history of life. I, like many children before me and many that are yet to come, was obsessed (and still am to a slightly lesser degree) with dinosaurs. I knew the names of all of the different families, I could correct people who would dare claim that pterosaurs, plesiosaurs and icthyosaurs were dinosaurs and was fascinated by the big question of their demise; a question that seems to have been answered by a meteorite and the climate change that it caused. I read through encyclopedias wherever I could find them, learning about the planets, the stars, the formation of the universe in the big bang and a whole host of subjects that reminded us just how small we really are. When I looked at the grand scheme of things, it was clear that [winter is coming] was inevitable. I was so obviously just a quaver in the vast symphony of our universe, one that I would never be able to hear the final notes of, no matter how much I prayed. The fact that my main scientific obsessions at present are evolution and paleontology then, shouldn’t be surprising. Through time however, I began to push against the things people expected of me. I leaned towards music and songwriting, which were great passions of mine, and believed with perhaps more faith than I had reserved for God that I would make it in that world. So strong was my faith in this dream that I let my education take the hit. Then, when the ashes of that dream, cremated without my blessing were presented before me I looked back at what was left of my potential and saw the damage that faith could do. It was with a heavy heart that I began to consider a biological sciences course I had applied for as my only backup, and, armed with the knowledge that it my only hope to regain an Eddy that my younger self would have been proud of, I rediscovered the science I had almost forgotten, and couldn’t believe what I had been missing. It was at that time that I started writing, writing novels as a hobby and writing a daily blog as a necessity. This time I let the passions that had driven me forward as a child find their place in my present, and they fit perfectly. I left the other stuff behind; the ghosts, the vampires, the conspiracy theories and every manner of false hope I could find room in the trash for. Armed with new eyes I looked at my world like I should have done all along. I found that without those false hopes; without the hints of a possible afterlife and the riddling creatures that agreed with it, that [winter was coming] and I was no longer scared.